Ultramicroscopy, 149 (2015), Pages 86–94. This webinar will focus on the application of high-resolution, fast scanning AFM for the characterization of soft matter and biological materials. We will stress how recent advances, such as JPK's fast-scanning NanoWizard® AFM platform, allows for analyzing dynamic systems with high spatial and temporal resolution reaching a few frames per second. 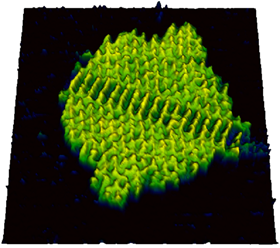 We will also further explain how the full integration of AFM with optical microscopes enable correlative microscopy approaches, which allow for gaining unique insights into the samples of interest.